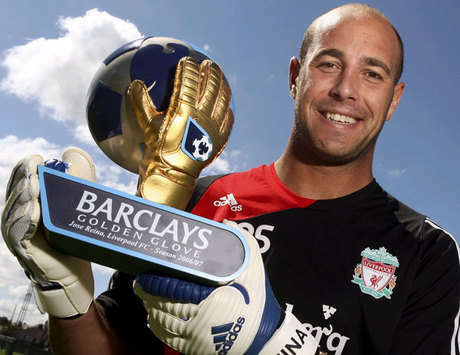 Since he signed from Villarreal for just £6m in the summer of 2005, Pepe Reina has been the undisputed first choice keeper at Anfield. Virtually every other areas of the team has found itself in turmoil at some stage – regardless of his form, the attack was weakened by the loss of Fernando Torres; the midfield was decimated by the loss of Javier Mascherano and Xabi Alonso; the defence, particularly the fullback positions, has been changed on a regular basis. However, the one single point of consistency over that period has been Pepe Reina. However, over the past twelve months, the form of the Spanish keeper has been particularly troubling for even the most ardent Liverpool fan. He has seemingly gone from being one of the best keepers in Europe to making mistakes that would embarrass a schoolboy playing on a Wednesday afternoon with his mates. Despite being a relative rookie when he arrived at Anfield, he made an immediate impression. His first season as Liverpool’s number one saw him end with a 76% saves-to-shots ratio – a very impressive figure. He has also won the Golden Glove on three occasions. He kept 18 clean sheets in the 2007/08 campaign, 20 in 2008/09 and 17 in 2009/10. However, the summer of 2010 seems to mark a change in his performances. He kept 14 clean sheets in 2010/11 and only twelve last season. So far this year, there has only been one clean sheet in the league. While one valid point to make is that the team certainly has not been as strong in the last couple of years as it was during the peak of Rafa Benitez’s reign, when the side reached the Champions League final and sustained their first title challenge for many years. 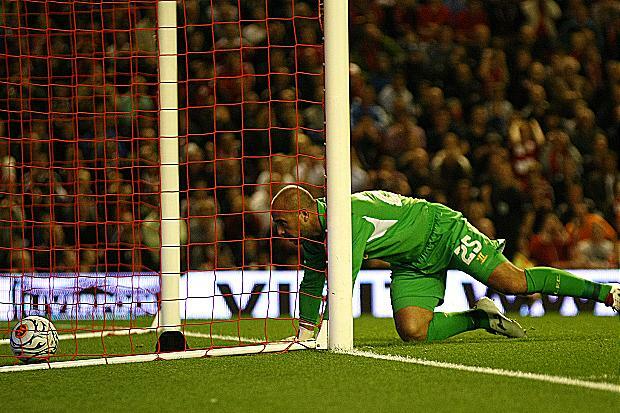 However, the simple mistakes that Reina has made cannot just be put down to a weaker team in front of him. What did change over the summer of 2010 was that Rafa Benitez was axed, following a poor campaign that saw Liverpool fail to reach the Champions League, despite Reina’s excellent performances in goal. And more importantly, his goalkeeping coach, Xavi Valero, also left the club. When Ochotorena moved on from Liverpool in the summer of 2007, he was replaced by another Spaniard – Xavi Valero. His arrival coincided with the three wonderful seasons that Reina experienced, where he established his position amongst the very best keepers in world football. Reina was also a perfect fit for how Liverpool played at the time. 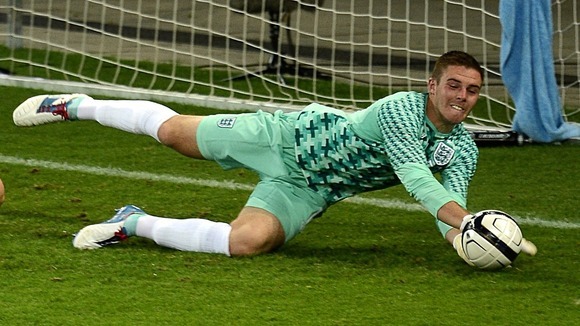 Brought up in Barcelona’s famed La Masia academy, he prefers to act as more of a sweeper keeper. With the high defensive line that Benitez employed, he was free to roam behind, clearing up balls over the top and anticipating danger before it occurred. However, in 2010, Valero and Benitez left the club and Roy Hodgson and his specialist goalkeeping coach, Mike Kelly, were brought in. Whatever happened behind the scenes, Reina’s level noticeably dropped. Having averaged a 73% saves-to-shots ratio during the five years of Benitez’s reign, his figure dropped to only 64% the following season under Hodgson, and then Dalglish. His mistakes this season have been even more worrying. He has arguably been directly culpable for four of the goals that Liverpool have conceded this season. His fumbles against Hearts and Norwich were amateur mistakes, and his limp-wristed saves against Arsenal were a reflection of his form this season. He should be more suited by Brendan Rodgers’ style of play. The former Swansea manager has taken many of his principles from the La Masia academy, and his Liverpool side are certainly closer in character to that of Benitez, rather than Hodgson or Dalglish. Another problem is the lack of competition. Almost since he joined the club, he has had little challenge for the first choice position. At the moment, there is absolutely no competition. Neither Brad Jones nor Doni are Premiership calibre keepers, and no matter how poorly Reina is playing, they are not going to challenge him for the starting role. The label of a loss of form and casual mistakes were applied to Petr Cech over the last couple of seasons, before he has recently returned to his best. This return to form has noticeably coincided with the rise of Thibaut Courtois, who had a wonderful season at Atletico Madrid last season. The threat of a challenger to his position forced Cech to raise his game, and he was able to rediscover his form. It is maybe something that Brendan Rodgers could look to do. The club has been linked with England U21 keeper, Jack Butland, and the impressive young German, Marc-Andre ter Stegen, in recent weeks, and it might not be the worst move. If a new signing could force Reina to lift his game again, it would be an added bonus. Another option would be to bring Xavi Valero back to the club. He is currently unemployed and still lives on Merseyside. While Reina’s best spell could have been coincidence, it seems unlikely that Valero had no impact on it. However, if his form does not improve in the near future, his position at Liverpool could come under serious threat. He has always stated that he would like to play for Atletico Madrid, as his father did. Come the end of this season, Courtois will return back to Chelsea and they will be on the lookout for a keeper, almost certainly as a Champions League club. It will certainly be a tempting proposition for Reina should they come calling. 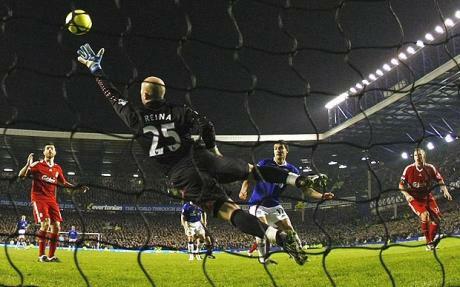 Nobody is claiming that Reina has become a bad keeper overnight. He remains a world-class keeper, and at only 30-years old, he has plenty of time left in the game. In recent years, Edwin van der Saar and Brad Friedel have proven that keepers can easily continue to play into their late thirties and even forties. However, unless he can rediscover his form, he is rapidly becoming a liability that Liverpool can little afford. Their striking woes have claimed many of the headlines over the past twelve months, but a good side starts at the back, and if Brendan Rodgers cannot trust Pepe Reina, then he may look at moving him on and finding a replacement.